Happy Thanksgiving! Happy New Year! 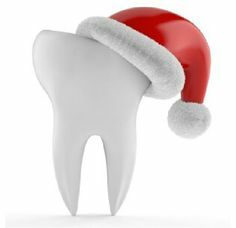 At Beautiful Smiles, we know maintaining a healthy diet over the holiday season can prove a difficult task. After all, who can resist the tasty treats of Christmas? With grandma and everybody else offering you candy, chocolate logs or Christmas pudding, you just can’t say “I’ll pass” each time. But trouble lurks: every time you chow down on that chocolate or candy, the bacteria in your mouth have a feast on the sugar—at your expense. The sugar turns into acid, and the acid eats away at the enamel on your teeth. Then, you start getting cavities. Instead, our friends at the American Dental Association recommend nuts or dried fruit, which are a nice alternative to sugars and have a greater nutritional value—and can satisfy your sweet tooth! Both nuts and fruit are a great source of fiber and act as an appetite suppressant. In addition, nuts are a great source of Vitamin E, Vitamin B6 and Vitamin B9, nutrients that contribute to a healthy immune system. Nuts are also a rich source of omega-3 fatty acids, which have been linked with reducing heart disease and lower blood pressure.